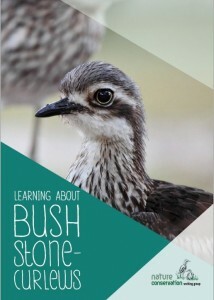 Nature Conservation Working Group, together with Murray Local Land Services, PeeK Designs and Petaurus Education Group, are excited to have recently launched the ‘Learning about Bush Stone-curlews’ schools resource. This resource is aimed at students between Years 3 and 7 and can be used either as a whole unit or as separate individual activities.Some of the activities may also be appropriate for younger or older students. Or contact us to be sent a hard copy. 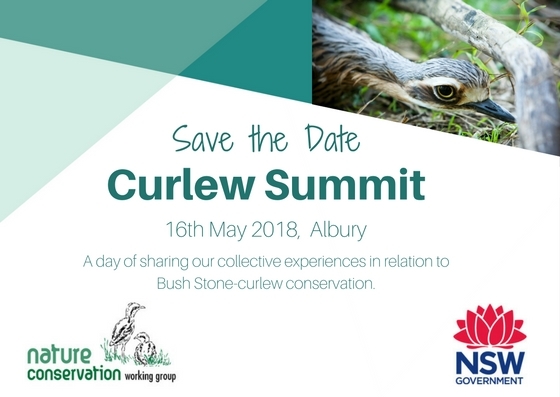 Save the Date – the 4th Curlew Summit is coming. 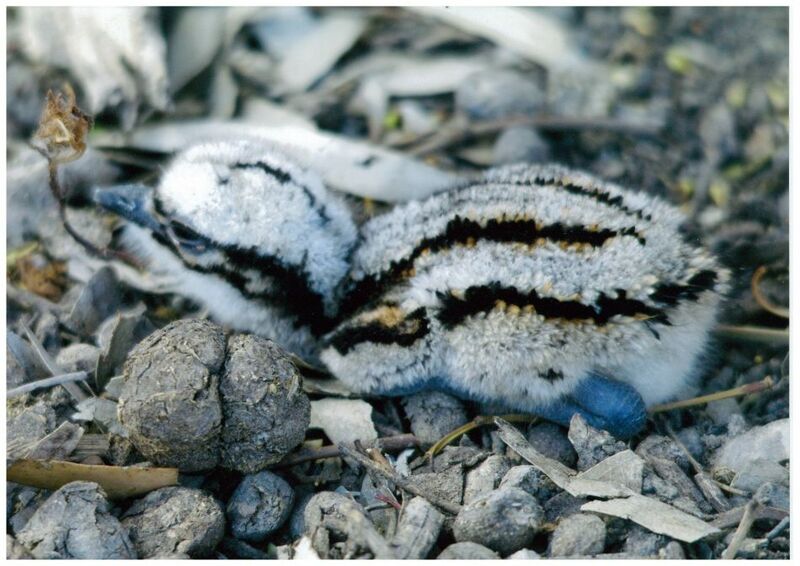 For latest information on Bush Stone-curlew Conservation projects around Australia check out the latest Curlew Conservation Newsletter. Bush stone-curlews in the aviary ready for release. Photo (c) Elisa Tack. Another nine bush stone-curlews are now ready and waiting to be released during the coming week. All of the curlews are fitted with leg bands and small radio-transmitters attached to their tail so we can keep track of where they are moving. With the rain we’ve had, and the weather warming up, there should be plenty of food around for them! How many curlews can you see in the picture above? 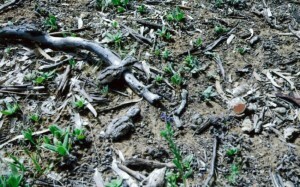 Lucky they have transmitters on or we would never find them again! 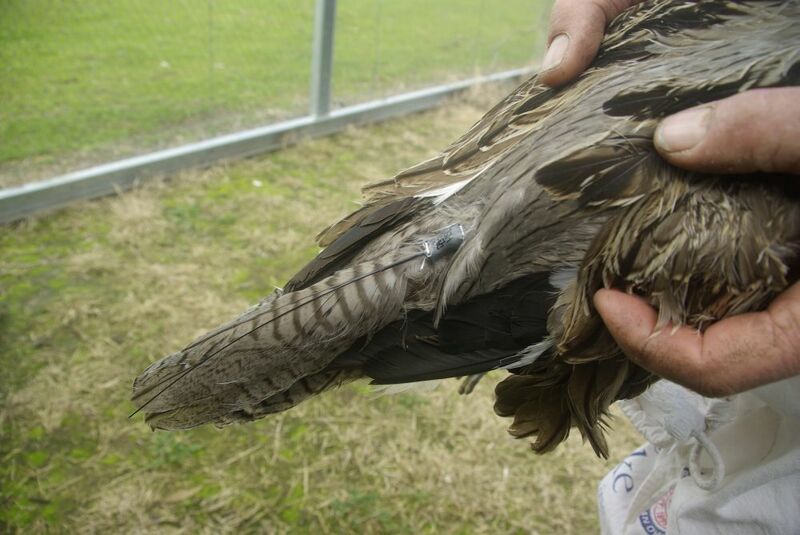 Radio transmitter attached to a bush stone-curlew’s tail. (c) Elisa Tack. Released birds breed at Moulamein! We are very excited that we have had a number of our released birds at Moulamein successfully breed this season. Peter Redfearn, on whose property we released 55 curlews from 2008 to 2012, recorded a number of breeding attempts by different pairs on his property over the last few months. There are now a number of young curlews running around, boosting the population at Moulamein further. Nature Conservation Working Group’s goal was to supplement the very low remaining population at Moulamein in an attempt to give them a chance to re-establish a self-sustaining population. It is with a great sense of accomplishment that we now see this coming to fruition. This successful breeding is also a testament to all the hard work Peter and his neighbours continue to put into intensive and large-scale fox and cat control. Below are some photos Peter has taken over the breeding season. Parents and young curlews. Farnley, Moulamein. Dec 2014. Photo by Peter Redfearn. Day old chick. Farnley, Moulamein. Jan 2015. Photo by Peter Redfearn. Released curlew that is the parent of the day-old chick in the photo above. The orange colour band is just visible on its left tarsus. Jan 2015. Photo by Peter Redfearn. Chicks just hatched with egg shells at nest. Farnley, Moulamein. Sept 2014. Photo by Peter Redfearn. 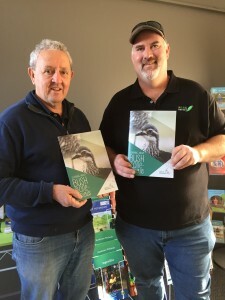 In August 2014 Nature Conservation Working Group and Murray Local Land Services hosted the 3rd Curlew Summit in Albury, NSW. We were happy to have community groups, NGOs, researchers, government agency staff, zoo and fauna park representatives and consultants from all over Australia all bringing their wealth of knowledge on curlews and curlew conservation to share. Talks were on a wide range of topics including fascinating insights into urban curlews in Brisbane, long-term community monitoring on the Central Coast of NSW and results of a number of captive breeding and release programs. View a copy of the program and abstracts here. Nature Conservation Working Group members, and Murray Local Land Services Chair Alex Anthony at the 3rd Curlew Summit. L to R: Alastair Robb (NCWG); Alex Anthony (Chair, Murray LLS); Ian Brooks (NCWG), Nev Lubke (NCWG), Jan Lubke (Secretary, NCWG), Glen Martin (Chair, NCWG); Elisa Tack (Murray LLS); Dougald Frederick (NCWG); Judy Frankenberg (Deputy Chair, NCWG). 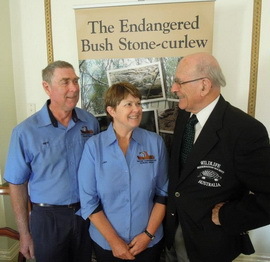 Neville and Jan Lubke, and the Nature Conservation Working Group are proud to be part of the release of Bush Stone-curlews back into the ACT after they went extinct there 40 years ago. The team at Mulligan’s Flat Woodland Sanctuary have done a great job pulling the program together, and we hope the curlews like their new home. Apparently some of the released birds are also checking out surrounding suburbs, so if you see a Bush Stone-curlew in the ACT please visit curlews.org to see what to do and who to contact. The release was featured on a 7.30 ACT report which you can watch here. 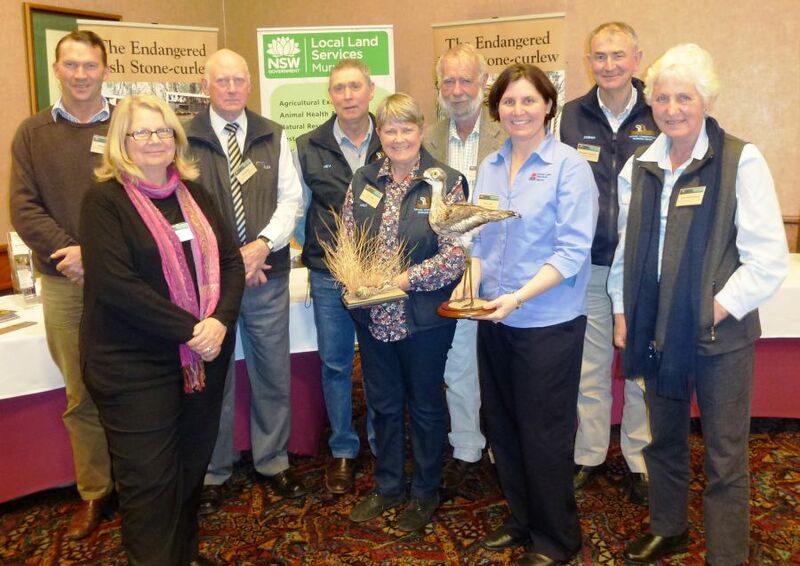 The work of the Nature Conservation Working Group was recently awarded the Community Wildlife Conservation Award for 2012 from the Wildlife Preservation Society of Australia in recognition of the work we’ve done on curlew conservation. The award is given each year to acknowledge organisations making a contribution toward the conservation of Australian wildlife. The award was accepted by Nev and Jan Lubke at a luncheon held in Sydney on the 18th March. Although we do the work for the love of the birds, rather than awards, it is wonderful to get recognition of our hard work. 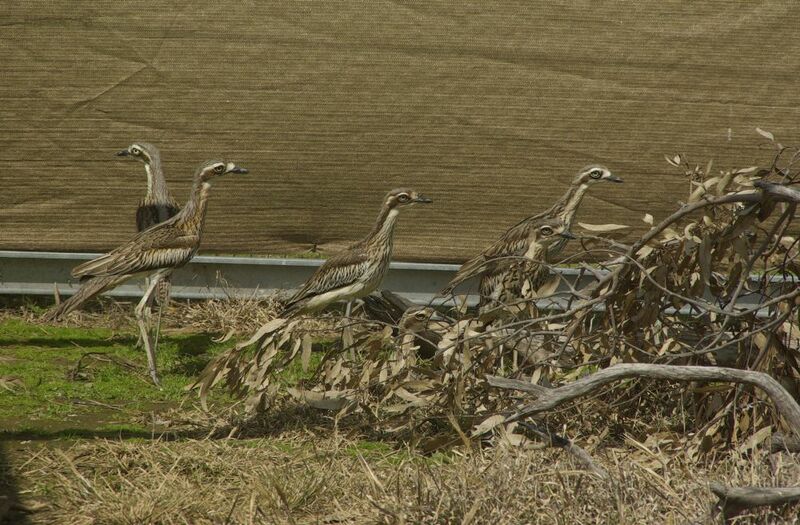 The Nature Conservation Working Group has carried out another successful release of 10 bush stone-curlews near Moulamein. 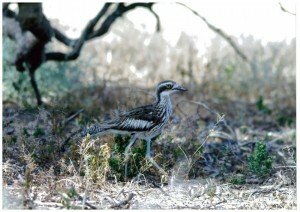 The birds were released in early September – the fifth release of bush stone-curlews at Moulamein. Since the release curlews have been seen regularly in and around the release area, including a group of birds that appear to have taken up residence near the breeding aviaries on the property. 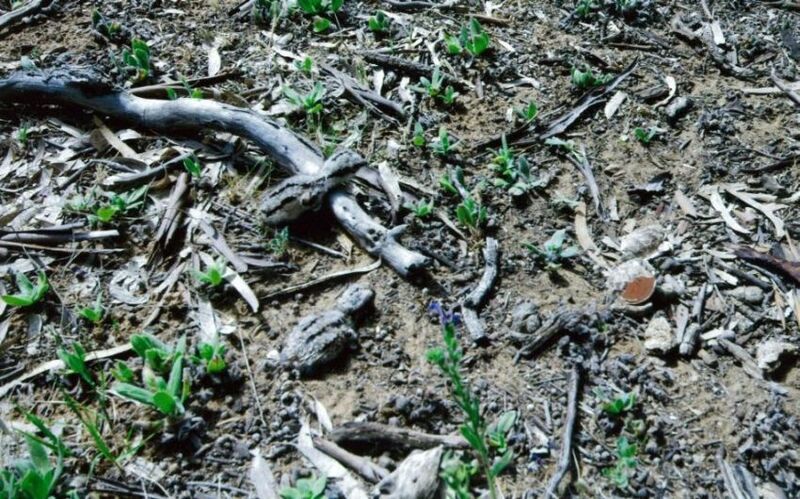 Over the last 12 months we have received increasing numbers of reports of bush stone-curlew sightings in the surrounding area and on neighbouring properties. This is a good sign that the curlews are moving out from the release area and we hope are establishing territories to breed!